Effective use of the cutting tools is a major factor influencing overall productivity of a typical sawmill operation. 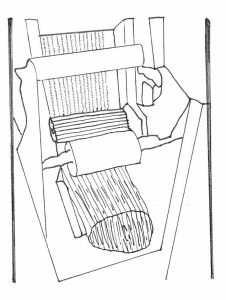 This fact sheet summarizes some of the basics of sawmilling, along with headrig and curve-sawing processes. Headrig is a machine center, where the logs are converted into lumber using bandsaw, circular saw, sashgang saw or their combination. Four major activities, determination of geometry of the log, the orientation of correct log position, transportation of the log while it is fixed and performing its cutting, takes place in a typical headrig operation. Lumber recovery factor (LRF), which is a measure of how efficiently logs are converted into lumber is a major function of overall headrig operation. LRF can be expressed as the ratio between the amount of log in cubic feet entering into a sawmill and yielding quantity of lumber in board feet (bdft/cuft). 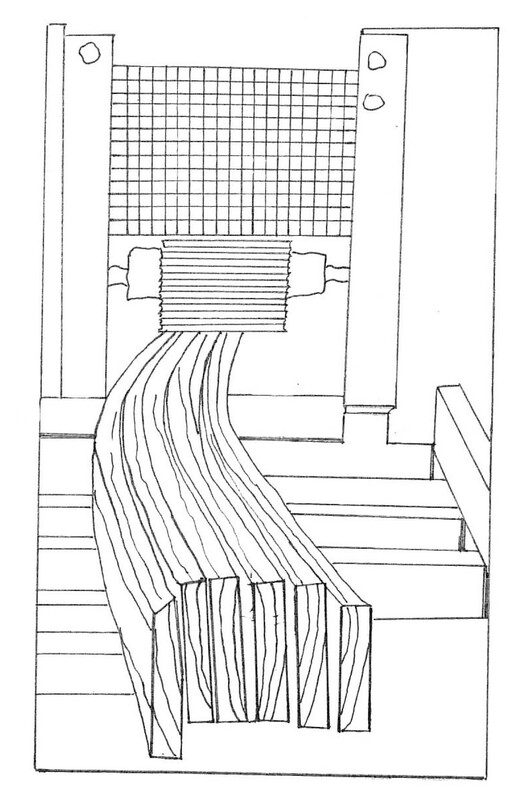 Best opening face (BOF), which is a computer simulation model of the sawing process for recovering lumber from a sound log. Logs can be sawn and converted into lumber efficiently, employing BOF as long as they are defect-free and straight. Most of the time, logs are assumed that LRF of the mill can be kept at a certain targeted level. However, in the case of logs, having sweep and irregular geometry, curve sawing technology can reduce waste and improve the overall productivity of the mill up to 10 percent, achieving a high value of lumber recovery factor for both softwood and hardwood sawmills. Sweep, which is the deviation of the curve of a log, is generally considered as log defect. 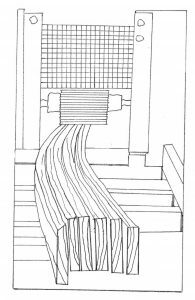 In general, the degree of log curvature, log diameter and log length are main elements influencing overall lumber recovery factor of a mill. 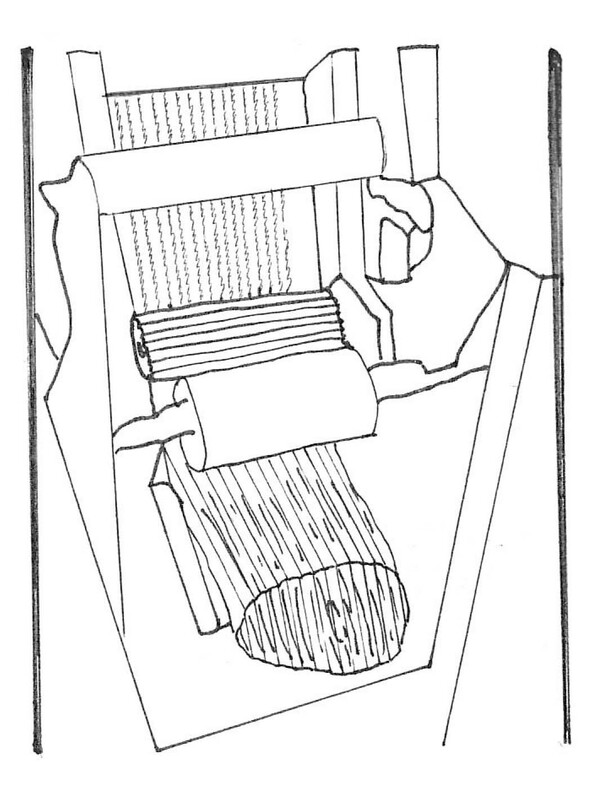 Figure 1 illustrates the sawing methods and the yield from the log having a sweep. Figure 1. Sawing of a log with sweep. Two basic approaches of curve sawing are widely used. 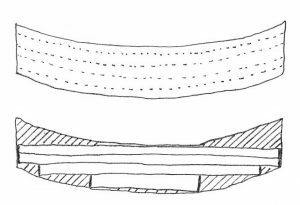 One approach is to keep the saw stationary to not drive through the log, following the curvature of the log. The other approach is to use a sashgang saw, which is movable and follows the curvature of the log. The sashgang saw is also called the wiggle box, which is similar to conventional sashgang saw except the sawing frame can be rotated horizontally within the range of several degrees so the curvature of the log can be followed. 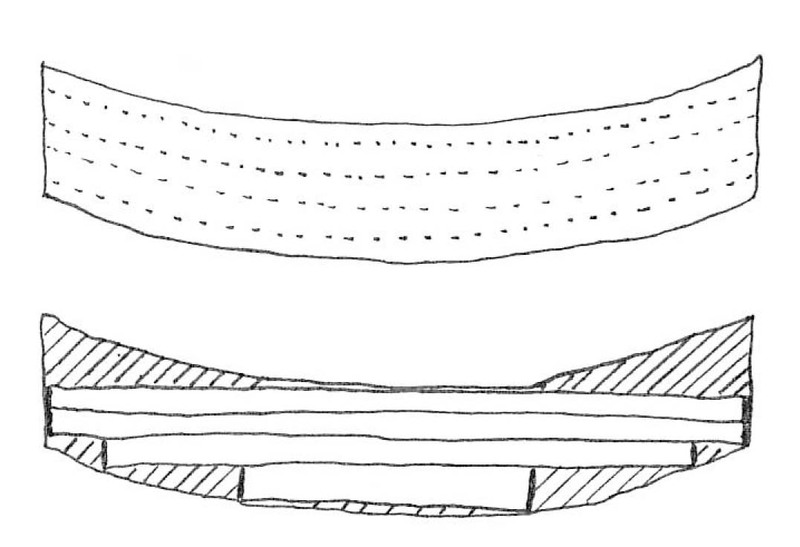 Figures 2 and 3 show schematics of a typical sashgang saw and its application to curve sawing. In a curve sawing, the frame moves and boards can be produced based on the curvature of the log. Most lumbers or boards produced using curve sawing will have a certain degree of sweep, which can be flattened during the drykiln operation by putting some load on them. Once the lumbers are dried to a target moisture content, they will be flat and similar to those sawn from straight logs. Figure 2. Schematics of a typical sashgang saw.